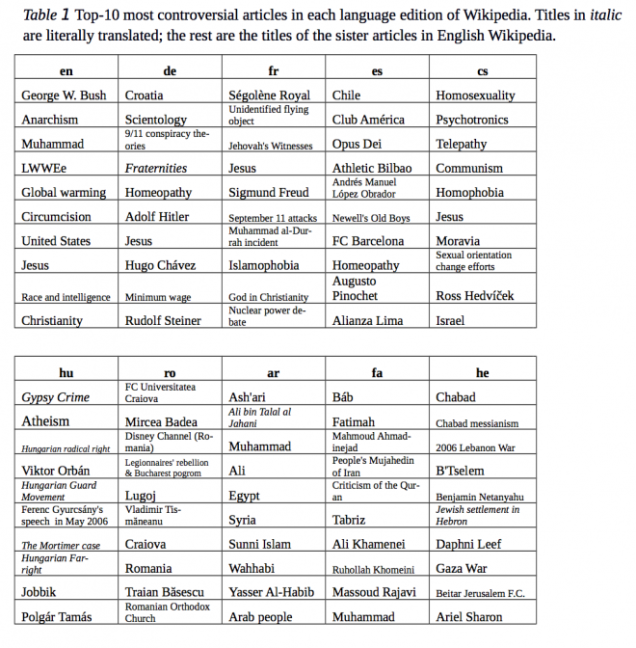 You can probably guess off the top of your head the most controversial English-language Wikipedia articles—those topics that inspire extensive re-editing and deleting. (I guarantee you can't guess the fourth-most controversial.) But what about the most controversial articles in other languages? What are Francophones and Chinese speakers arguing about Wikipedia? 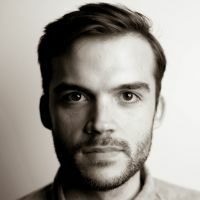 Wired's Samuel Arbesman flags a great study called "The most controversial topics in Wikipedia: A multilingual and geographical analysis" from a soon-to-be-published book on Wikipedia. 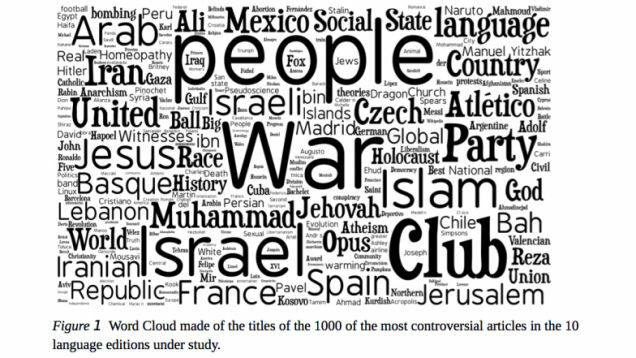 The study purports to find and rank, yes, the most controversial topics on Wikipedia, and sort them by language. "Controversy" is measured by counting the number of times one editor's change was completely reverted by another's. The topics, as you might imagine, are dominated by politics and religion—though examining each language individually, as this interactive infographic allows you to do, reveals some interesting changes. (Sports teams are far more controversial on Spanish and Portuguese Wikipedia than anywhere else; entertainment topics more controversial on Chinese and Japanese).